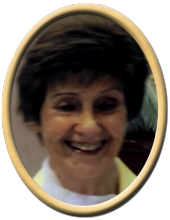 Peggy Wooten McMillan, 86, of Huntsville, passed away Tuesday. She was preceded in death by husband, William J. McMillan, father, Morgan D. Wooten, mother, Katie B. Wooten, three brothers, and four sisters. Surviving are a host of nieces, nephews and many friends. Visitation will be Saturday 10:00 AM to 11:00 AM at New Hope Funeral Home. Services will follow at New Hope Funeral Home Chapel, Saturday at 11:00 AM with Stan Mullins and Bill McElyea officiating. "Email Address" would like to share the life celebration of Peggy Wooten McMillan. Click on the "link" to go to share a favorite memory or leave a condolence message for the family.